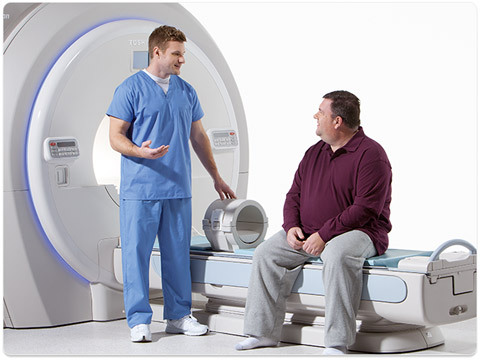 Modern MRI scanners have a wide bore to accommodate obese patients and reduce claustrophobia. In order to enable a wide bore construction, it is common practice to completely redesign the magnet. 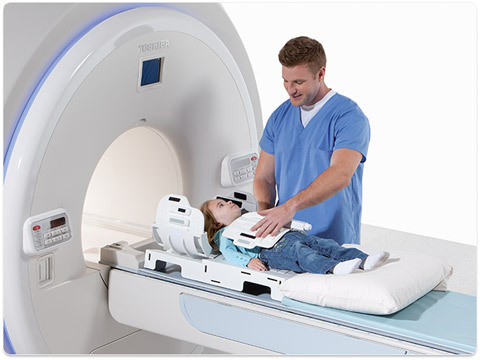 However in most cases the most important specification, magnet homogeneity, is compromised. For the Vantage Titan, Canon kept the magnet of the Vantage version that has a 60 cm bore, but ­redesigned the gradient coil, maintaining the original magnet specifications. The result is a wide bore system without any compromise to image quality.